Producer, director, writer J.J. Abrams is known for a few things. His name is practically synonymous with the science-fiction reboot, thank to him having helmed successful big screen reboots of both Star Trek and Star Wars. He's also known as a genre filmmaker and television creator, obsessed — perhaps a little too much — with the mysterious intersection of the supernatural and the real. Yet what he's not as frequently recognized for is perhaps one of his most important qualities; Abrams is a champion of gender-balanced content. 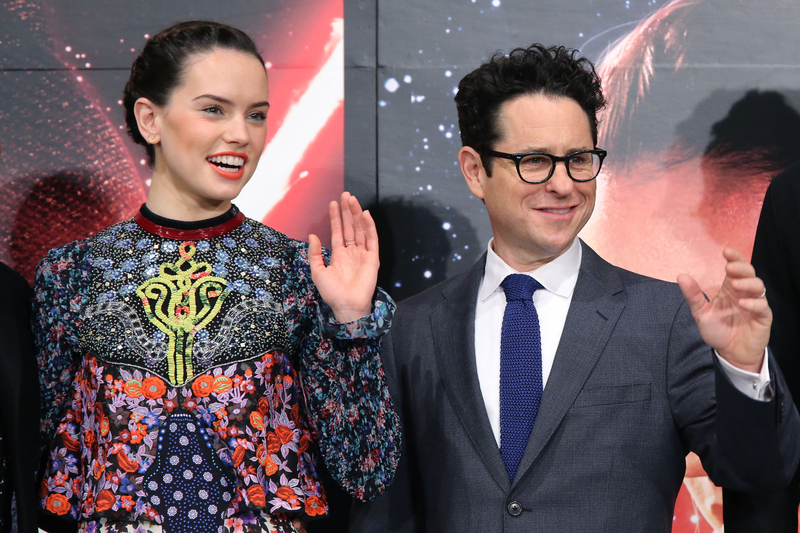 Over the last year, the director has received a lot of praise for his decision to give Star Wars: The Force Awakens a female lead, as well as have his newest film, the Bad Robot-produced 10 Cloverfield Lane, also star a strong female character. But Abrams has always been a force behind feminist stories. Throughout his career, the filmmaker has repeatedly created shows and films that don't just feature complex women, but revolve around them. After getting his feet wet as a screenwriter for action films, Abrams made a name for himself in 1998 when he created his first show, Felicity . Those of you familiar with the late-'90s drama, or just with its star Keri Russell's iconic Season 2 haircut, know that it's not the type of show you'd typically associate with Abrams. For one thing, it had nothing to do with science fiction or fantasy, but rather, was a grounded gem of a show about a young woman's struggles in college. Save one Twilight Zone-inspired episode ("Help for the Lovelorn") and the fact that one of the characters literally possesses a Mystery Box, you might not ever think to connect Felicity to Abrams' other works — that is, unless you consider the fact that it had a female star and told a story from a female point of view. Yet despite this legacy of clearly feminist works, Abrams isn't necessarily the first person you think of when you imagine male sci-fi writers and directors who create female-driven projects. That'd be Joss Whedon, the creator of Buffy the Vampire Slayer. Unlike Abrams and more of their peers, Whedon has been a highly vocal advocate for women's rights and issues of sexism in the media. Said Whedon in a speech at a 2013 Equality Now event, "If you're someone who genuinely believes that women don't deserve, or aren't as much, as men, you're like the plague. On the big history chart, you're the plague... It's just pointless and deadly." Abrams, meanwhile, hasn't made as many public comments about his efforts to carve out a space for women in media, but what he has said is hugely important. Promoting The Force Awakens, Abrams shared that he consciously wrote the film with a female character at the center, with the hopes of debunking the belief that Star Wars was for boys only. "I was really hoping this could be a movie that mothers could take their daughters to," Abrams said on Good Morning America . And when he found out that Rey was missing from some key merchandise materials, the filmmaker immediately went to work in an attempt to rectify the situation. During a press conference at the Television Critics Association in January, Abrams said that he thought it was "preposterous and wrong that the main character of the movie is not well represented in what is clearly a huge piece of the Star Wars world in terms of merchandizing." Abrams may not be the loudest advocate for gender equality in film and TV out there, but there's no denying that he's clearly a supporter of feminist content. And it shouldn't matter if he makes big statements or feels the need to explain his intentions; for someone with a resume as impressively gender-balanced as Abrams, his work — and the strong, complicated female characters he has created — speak for themselves.